Today, the real challenge for Muslims is to strike a balance between religious and secular education. While many parents and children continue to struggle towards higher studies, it is increasingly difficult for them to do so in an Islamic environment owing to the dearth of colleges that impart modern education along with equal emphasis on spiritual and cultural development. MS College was born out of the urgent necessity to address this need of the community. It aims at providing the best of educational opportunities to the most promising and deserving students and enables them to pursue professional courses and contribute towards community development. In a short span of time, our relentless efforts towards excellence in education have yielded many state ranks in the Intermediate Public Examination (EAMCET, AIEEE & IIT). Many students have cracked competitive exams and enrolled into professional colleges. Today, with nine branches in AP, we are able to cater to numerous students offering them quality education at affordable costs. The comprehensive education plan followed at the college integrates modern scientific based knowledge systems with the teachings of Islam to ensure that students develop confidence and discipline, besides academic excellence. We train our students to take up their rightful place in the global society. Education is the best gift that parents can give to their child. We believe in Educating a child during its various stages of development while being aware of its motivations and changing interests. Therefore, our philosophy as explained below is obvious right from our intention to the actions of every individual in the organization. We believe that all our work should be dedicated towards service to our community in particular and service to the humanity at large. Through our work, we envision bright future of our students and staff in particular and community and the country at large. To fulfil our vision, we made good upbringing of students and welfare of the staff as our mission so that we stay focused, grounded and result oriented. In order to fulfil the purpose of our organization, we promote and practice certain values that must be adhered to by one and all. These are our guiding principles our work ethics, our identity. We hold close to our heart the social values of Respect, Integrity, Diligence, Motivation, Optimism and Compassion. Our goal is to provide Quality Modern Education in Islamic Environment to nurture true muslim citizens who shoulder the responsibility of the nation selflessly. MS Junior College is committed to providing education of the highest standard for students of Intermediate, to help them carve a niche for themselves in such a competitive world. Success comes to those who strive hard with precision under the guidance of an expert. We have been involved in this for over two decades and are now poised to shoulder the responsibility of a guide and an expert, to propel students into top Universities, Professional Colleges and National Accredited Colleges, thus acting as a perfect career launchpad. MS works with students both intellectually and spiritually. On the intellectual front, apart from the subject knowledge, the students are lectured on Personality Development, Time Management skills and inspired through Motivational speeches by the Great Achievers from different fields like Civil Services, Leadership, Professional courses, etc., who are Role models of this generation. On the Spiritual front we have made teaching of Deeniyat as part of the Curriculum that help them develop Life Skills in behaviour and make them live with the humanity. Our Faculty is very professional, dedicated, competent and capable of steering students in the right direction. Their immense experience is a boon to students for they make even most difficult topics interesting by the way of examples. Students are also taught Memorising Techniques, Sound study skills which enhances their learning capabilities and boost their morale, self confidence. Apart from training students for IPE we offer specialised programs that prepare them for Competitive exams like IIT, NEET, CA, etc., with ease. We have earned the trust of parents by producing phenomenal results, consistently for over 10 years. We thank the parents, students and all the staff members who have contributed to this success. Namal is Arabic word for Ant. Ants are famous for their Dedication, Courage, Discipline, Team Work, Communication, Social Concern and Engineering. They can carry upto 50 times its own weight and construct colonies upto 100km wide. An engineer needs to follow this suit and dedicatedly work towards contributing to the society with their specialized skills. With Mathematics and Science at the core, Students need to excel in Analytical ability and Logical Reasoning. Inspiration, Forward Thinking, Strategic Mind and Imagination of a better world are the qualities of an Engineering Student at MS. They are an enlightened through the contributions of Muslim world and inspired to bring out the genius from within. The category of the students opting for this should have unwavering commitment, loads of talent and willingness to exert extensively. The curriculum demands it. Category wise All India Rank (AIR) are given to Students who write IIT-JEE(Advanced), subject to condition that such candidates are in the top 20 percentile in their respective Board. Out of this only about 10,000 would be absorbed into the IITs. This is a comprehensive course designed to tap the hidden potential of the student through long term intensive coaching that stress on conceptual understanding , logical reasoning and analytical ability. Students are given assignments regularly and are put through rigorous tests conducted periodically, which makes cracking of Competitive Exam an easy affair. To create equal opportunity and reduce burden, Government of India decided to have a common entrance for all the Engineering colleges called ISEET (Indian Science and Engineering Entrance Test). Appropriate weightage will be given to local students. It is to be noted that only top 150,000 students from the total appearing for JEE-MAINS would be eligible to write JEE-Advance. This course is focused only on the Intermediate syllabus designed by the board to help any average or weak student concentrate on one thing at a time. Students can take competitive exam next year or simply pursue courses other than Medicine. The main objective of the IITs is to prepare COMPETENT ENGINEERS & SCIENTISTS. Nahal is the Arabic word for Honey Bee. They are undoubtedly hard workers who live in societies and help others in everything they do. Be it producing Honey or carrying pollen from tree to tree. They help mankind in many ways. They have sense of direction, sense of identification and diagnosis; they communicate and help each other. They are environment friendly and above all appreciated by the Almighty. A doctor needs to follow their suit and commit oneself towards saving the mankind. At MS, Medical aspirants are inspired for community development, good etiquettes, sense of responsibility and better use of modern sciences in the light of Islam and tibb, to be a winner in this life and hereafter. Single medical entrance test for all medical colleges except AIIMS (All India Institute of Medical Sciences) and a few more colleges. It is aimed to demolish the jeopardy caused due to countless entrance exams conducted by every college / university for medical admissions. As usual 85% of the local seats of A.P. Medical Colleges will be filled with A.P. Students. There are chances that 15% of the total seats will be given to non local students from other states in Andhra Pradesh and vice versa. (This opens up many opportunities for boys from AP state to study in other states). 4% reservation policy for Muslim minorities will remain same in AP. This course is designed for students who are go-getters and have the talent, passion to succeed along with strong academic foundation. All efforts are put in to make fulfill the quest of these students and ensure that the resultant is superlative. Students in this stream can easily crack any All India Medical Entrance Exam needless to say NEET/EAMCET/BUMCET/AIIMS etc. There is dearth of Medical colleges across the State. This is the prime reason why it is extremely difficult to get through Medical Entrance Exams. Expert coaching and professional guidance are the salient features of this stream. 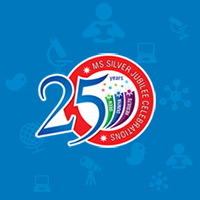 MS has designed syllabus and programs so meticulously in view of the challenges students are Facing with. throughout this course, their confidence level soars to unprecedented levels . This course is focused only on the Intermediate syllabus designed by the board to help any average or weak student concentrate on one thing at a time. Students can take competitive exam next year or simply pursue courses other than Engineering. Jamal is the Arabic word for Camel. Camels are the most reliable and dependable animals. They support humans in the worst of the climatic conditions. The caravans used to carry them as they used as mean of Transport, Food as well as Water. A CA is the best friend to rely upon with all the facts of the business. They not only help in the growth of the business but also save the business from many pitfalls. At MS, we train our students to be reliable, to enable growth and prosperity of businesses. They are taught to make the life easier by showing the right ways of earning, saving, donating while saving businesses and individuals from the trap of debt, loans, insurance, etc., At MS, they are motivated to learn the system of Modern Financial Accounting and Taxation while being adept in the Islamic Shariah so that the right solution is provided to the community. Career Options: Financial Accounting, Auditing, Cost Consulting, Taxation, Legal Matters, Management Consulting. When it’s time for making the most crucial decision of selecting the right school or college for your child, you are in for a challenge. Opinions are many and so are the choices but how to make a decision rather right decision for the future of the child. This question is more experienced than discussed. To make it easy, we provide a simple list of advantages that you will have when you embrace MS. This list is apart from the regular provisions, facilities and services you will find in any other institution. If you need any clarification or further explanation, you are always welcome to visit any of our branches and we will be glad to assist you. Teaching is their passion not profession. Our Faculty is at the core; They not just teach, but discover subjects along with students. We handpick each and every staff member through rigorous process of selection to ensure that we only have the most dedicated, competent, motivating faculty capable of catering to the intellectual needs of the students with varying potential. Parents are equal partners in Education and our teachers collaborate with them in effective UPBRINGING of the Child. We feel accountable for the progress of the students, we motivate them, work diligently along with them and when the Results are out, we take pride in them. We sincerely believe that “It’s not your child but OUR child, hope of our community. Let’s script their future together”. What we say is what we do and this forms the quality policy of our institutions. Quality has to be planned at step of the process. Therefore, we have setup departments like Academic Cell and Research Foundation to ensure consistency in planning of academics for all the branches, Quality assurance in monitoring and professional enhancement in training of the staff. We know what we do and thus plan it effectively. Students at this age are in transition phase. Therefore, a blend of techniques that are detail oriented in the beginning and lecture oriented later so as to help them become self reliant and independent. We use smart classes to make concepts live and virtual classes whenever needed to bring top faculty from any where in the world right into the classroom through Video Conferencing. Regular tests to monitor progress and counselling, guidance whenever needed ensures rightful learning as they deserve. Alhamdulillah! Our results speak volumes about our commitment. We have delivered many state ranks in SSC Board Exams, Intermediate Public Exams as well as Engineering and Medical Entrance Exams. Many average students become toppers and toppers are many, which proves that we are not just focused on the top but rather specialize in creating toppers from the average. 41 students above 9 CGPA in SSC 2012 and 230 students above 90% in IPE 2013 is a testimony to our sincere efforts and sheer dedication. Please visit awards and achievements section for details. We understand the needs of our students and we are there for them whenever they need us. It is with compassion that our students become our children and school becomes their home. They entrust us with their deepest closely guarded secrets so that we help them overcome and succeed in life. Our compassion holds us from over stressing our students or for making them work too hard for that matter. Therefore, we continuously discover ways of working smartly rather hardly and impart this quest in them so that they are not only prepared for the exams but also for any challenge in their lives. We don’t believe in rote learning. The students are mature at this age. We make the subject logical by focusing on fundamentals and they connect the concepts to understand and excel in those subjects. We have devised many techniques in this regards and Memory Notebook is one such tool we use that helps in easy learning, retaining and recalling. They act as mentor to the students. They are available for each section to help the students as well as the Faculty in the time of need. They are allocated duties to prepare timetable, schedules and deal with other issues related to Academics. The students can get information with regards to their assignments, study material and results from them. Motivation: Apart from regular classes, we have special get together for Self Discovery that help them realize their potential and aim for the best. It is through motivation that they start believing in their true potential, explore their latent creativity, develop untiring spirit, never let go attitude; thus shaping a self confident personality that achieves its goals with flying colours. Personality Development: Yes you can!! We instill Confidence, Self Motivation, Positive Attitude, Integrity, Empathy, Passion, Truth, Sincerity in our students and set their vision high and long. So that they graduate into a well developed personality which is a gift to the society and the whole world. This is done through leadership assignments and group activities. We organize Educational Seminars to promote leadership and motivate the youth with the help of success stories. We invite eminent personalities who have struggled hard in their life to achieve recognition and realized their big dreams; So that they inspire our youth to become Achievers and realize their responsibility towards the community and the country. Life Skills: In the process of grooming and imparting Islamic values, we ensure that a child learns all the nitty gritties of carrying himself in the society. Whether it is communication skills, interpersonal skills, family affairs, stress or anger management, they know how to behave in the best of Akhlaaq while maintain good relations with one and all. Memory Development: The fast paced technological improvements are many that throw a challenge to young minds with their ever changing developments to be learnt retained and then reproduced as to match oneself to this swiftly transforming fields. We induce memory training as a part of the curriculum so that children seamlessly adopt these techniques and make learning easier. We also teach Mathematical tricks and methods of faster calculations so that the child develops confidence and affinity towards Analytical Thinking, Reasoning and Strategy. Career Guidance: Efforts without a Purpose doesn’t achieve Results. We have experienced professionals from different fields associated with us. They not only act as an example but also counsel students to understand the intricacies of each profession and help them set their targets on professional studies as well as the Future job prospects. Spiritual & Moral Guidance: Spiritual experts (Aalim-e-Deen) works with our staff and students to enlighten them with religious teachings, an important element that helps students stay grounded and focussed. These teachings cover moral values, behaviour with self & society (Akhlaaq, Muamalaat) other than the fundamentals. It helps them stay disciplined and exhibit best conduct. Environment: Children cannot be forced to believe or behave. Therefore, We create an environment that instill discipline, concentration, spirit of competition, spiritual motivation and thirst for success. An environment that is consistent, conducive, safe, healthy and prosperous and unintimidating so as to let the child grow, learn, groom and develop confidently while carving his/her Identity. Scholarships: We value hard work and results. Therefore, we offer many scholarships for meritorious students as a fee waiver upto100% in top batches of excellence. Other than the meritorious scholarships we have many alternate bursaries for the deserving and the seekers. We have provisions for good Samaritans of the society as well. Accommodation: We maintain Just like Home environment to cut down the chances of depression often encountered by students of this age. Right from Food, Bedding, Relaxation, Toiletries to Safety and Security, everything is maintained with utmost diligence. Study hours are mentored, Prayers are encouraged and other activities are monitored religiously. Rooms are spacious and clean. Home cooked, hygienic food is provided at the hostel. Transportation facility to and from college is also provided. Exclusivity: Separate blocks or buildings are maintained for boys and Girls in Schools, Colleges as well as Hostels. Utmost care and precaution is taken in assigning duties in such campuses so that male staff is for boys and girls get only the female staff. It covers about 350 medical colleges. Syllabus is as per the 11th and 12th class of CBSE board (Central Board for Secondary Education). Exam will be conducted on second Sunday of May every year. NEET exam was proposed to start in 2012 and it will be implemented in 2013 and 2014 in different states as planned. There are chances that 15% of the total seats will be given to non local students from other states in Andhra Pradesh and vice versa. (This opens up many opportunities for Students from AP state to study in other states). To make students make it big in their promising career of Doctors through NEET. Faculty, facilities and resources are all put in place in accordance with what it takes to be successful in this fairly new exam.